This is the third time in less than a year that an Indian cab driver has been assaulted in Australia. In yet another horrific incident, a 25-year-old Indian-born taxi driver was brutally beaten up by two passengers, including a woman in an alleged ‘racist attack’. 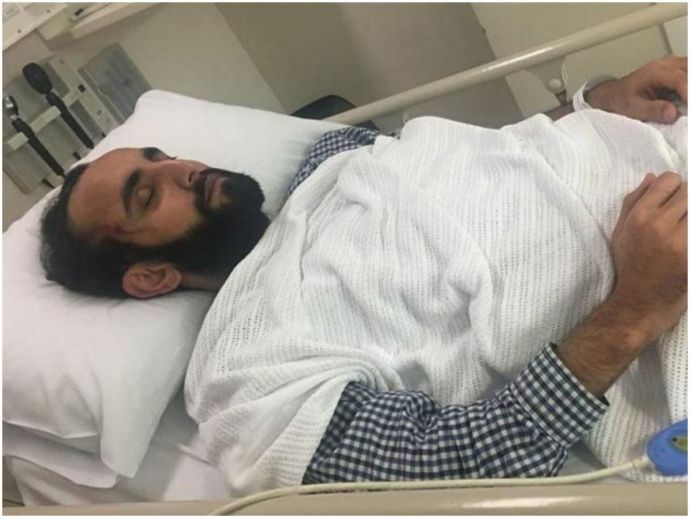 According to ANI, the cab driver, who is studying hospitality in the country, suffered injuries after he was beaten at the Sandy Bay McDonald's drive-through in Australia's island state of Tasmania on Friday night. The driver said he was attacked by the couple because he raised objections against the women passenger, who kept opening the door on the way, to throw up. After his repeated objections in opening the car door, the couple started hurling profanities and racial slurs at the taxi driver. After de-boarding the cab, the couple started kicking his vehicle. The female passenger started abusing him by calling him a “bloody Indian” while the male passenger repeatedly kicked and punched him. “You f****** Indian, you deserve this,” the male passenger said, according to the taxi driver. Due to the injuries sustained in the attack, the cab driver was admitted to the Royal Hobart Hospital overnight. A police official said that a man and a woman have been charged in relation to the assault. This is the third time, in less than a year that an Indian cab driver has been assaulted in Australia. On March 25, an Indian cabbie was assaulted by four teenagers in the Argyle St McDonald's and another driver was assaulted by four men in June last year.